Twenty-seven composers write brand new music for superstar violinist Hilary Hahn. And Hilary Hahn plays it for us. 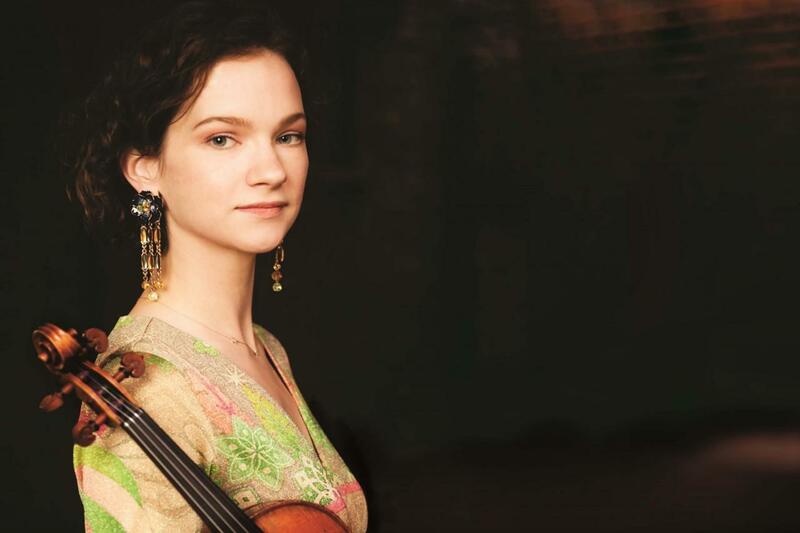 Intrepid violinist Hilary Hahn was a star before she was grown. Then, still young, a superstar on the violin, dazzling audiences and critics all over the world with her Paganini, her Bach, her Stravinsky, her Schoenberg. But young virtuoso Hilary Hahn was and is an explorer, too. She writes, she tweets, she’s jokes, she plays with Josh Ritter. And now she’s throwing a whole new raft of music into the mix. Twenty-seven encores. All new. This hour On Point: the boundary-breaking Hilary Hahn. The New Yorker: Finales — "Hahn, who is in her early thirties, first gained notice as a prodigy playing obvious fare. She has matured into one of the most creative and unpredictable virtuosos before the public, deploying her star power on behalf of modernist masters and living composers. 'In 27 Pieces' stemmed from a desire to update the repertory of well-masticated encore chestnuts. Hahn spent hours in front of her computer, bouncing from one Web site to another, and commissioned twenty-six composers from seventeen countries, ranging in age from thirty-two (Nico Muhly) to eighty-five (Einojuhani Rautavaara). She also ran a contest for the twenty-seventh commission, which drew more than four hundred entries; Jeff Myers was the winner." Boston Globe: BEST ALBUMS OF 2013: Jeremy Eichler --"This diverse collection of miniatures represents the fruit of Hahn’s ambitious commissioning project, through which she engaged 26 composers to write brief works for violin and piano, and held a contest for encore number 27 that drew over 400 entries. Hahn was already a well-established virtuoso. This project marks her evolution as something far more interesting: a creative force." NPR Music: First Listen: Hilary Hahn, 'In 27 Pieces: The Hilary Hahn Encores' — "For the 27th encore, Hahn launched a contest. More than 400 composers sent her scores which she blind-tested over a three-month period, eventually settling on a piece by Jeff Myers. In a span of just two years, Hahn premiered all the new works around the world and recorded them. (She is, after all, resourceful.) Few of Hahn's new encores sound remotely like old Kreisler-styled bonbons. Instead they brim with personalities as unique and varied as their composers. Somei Satoh's Bifū flows with long lines and a rippling piano, while Avner Dorman's Memory Games pulses ever forward with staccato notes that break suddenly for a reflective finish." "In 27 Pieces: The Hilary Hahn Encores"
This program aired on December 20, 2013.